Sojourners, the debut release from Rochester, New York’s Mavrodoxa was independently released in September of 2016 through the band’s Bandcamp page. Nebular Winter Productions quickly jumped on board to bring CD and cassette versions (due out in the middle of November). 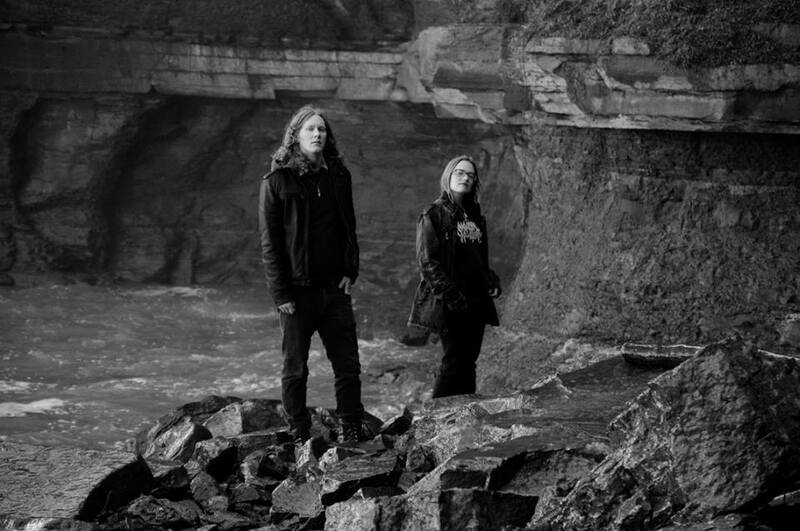 The band’s sound is firmly rooted in naturalistic, atmospheric black metal. While the band does bear a striking resemblance to some of the scene’s forerunners, they are clearly attempting to forge their own trail. Though the band just formed in 2016, the album shows a maturity not often brought on debut efforts. The five track, forty minute opus is wrought with the hall marks of the genre, yet their sound comes across quite fresh. It could the band’s focus on minor key, mid-paced riffing rather than blazing forward with nonstop layers of trem riffing. There’s still lots of wandering melodies and ethereal hints of post-metal, but its very movements sound very Appalachian in nature when compared to their oft-brooding, Cascadian counterparts. Hints of Agalloch’s woodsy nature and Opeth’s progressive structuring creep in, while the band stays true to the grandiose atmospherics. Despite the band’s adherence to stereotypical tropes of atmospheric black metal, be it acoustic wandering or lofty and sweeping trem riffing, there are some points that stand in stark contrast; mainly the vocals and drumming. The vocals are rather abrasive, offering a growled shout that sounds like it comes from an early Dark Tranquillity album, rather than the usual squelched screams and raspy wails. The drums focus on rollicking double kicks and punchy fills, instead of jazzy segues and barreling double runs. It’s just these little things that give Mavradoxa a bit of their own identity. Regardless of subtleties in songwriting and scope, Sojourners remains an album that genre fans should find enjoyable. A few surprises lurk, like the cleans during “Enshrouded in Dawn”, but the band’s sound is something very nostalgic and familiar. There are a few moments that begin to get bogged down, but, in all honesty, this is a strikingly strong debut album. 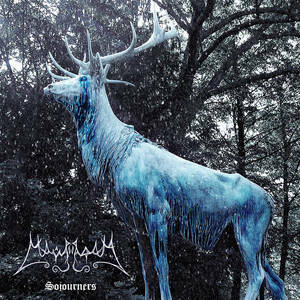 This entry was posted in Black Metal, Reviews and tagged Agalloch, atmospheric black metal, black metal, Deafest, Deafheaven, Mavradoxa, Nebular Winter Productions, Sojourners, Wolves in the Throne Room, Woman is the Earth.